If you are new to the online casino world, then trying to get to grips with the plethora of online slot games that are available can be incredibly confusing. To be fair, you don’t even have to be new to the scene to be somewhat overwhelmed by all the slots that are available, and the words and terms that often revolve around them. If you want to get to grips with slots and start spinning the reels to see if you can pick yourself up some tidy wins, and have some great fun doing it, then our slot guides are here to help you through every stage of the process. Every guide you find here will be explained in simple terms, with no bias, just honest, helpful guides to assist you in all corners of the slots world. How Are Casino Sites Regulated In The UK? Why Do Players Receive Different Bonuses? Why is Online Gambling Safer? Can You Win Against The Casino? How Do You Make A Complaint Against A Casino? What Are Your Odds When Playing Slots? What Are The Best Crime And Gangster Slot Machine Games? Deposit by SMS or Phone Bill – How does it work? How Do We Get Our Exclusive Offers? Slots History: How Did Slot Games Begin? What Are The Best Underwater Adventure Slot Machine Games? Who Makes Online Slots And What Are Their Trademarks? Online Casino And Slot Games - What Does The Future Hold? What Are The Best Sports Slot Games? If you intend to embark on a slot playing career, then one of the first things you have to learn about is paytables. Paytables tell you if a slot is low, medium, or high variance (which roughly translates as low, medium, and high risk), as well as informing you of how much you can win for each separate payline. The more paylines a slot has, the more ways there are to win. However, this does not necessarily mean that slots with the most paylines will pay out the most money, simply that they will tend to pay out more often. Once you’re ready to play, you will need to learn your way around the various features that slot games offer. 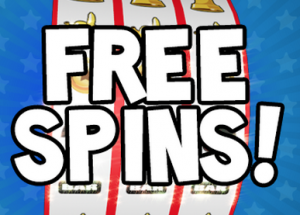 Traditional slot features include wilds of various kinds (normal wilds, sticky wilds, stacked wilds, and more), pick and click games, and the ever-popular free spins feature, which offers you a select amount of spins that don’t take any money from your pot, often with extra features at play. You will also find less common features such as cascading reels, so it’s sensible to know what each feature means. Our guides are here to help. Something you are likely to notice quickly when you start looking at slot games, is they come in many forms. Five-reel video slots are the most popular these days, but there is still a big market for the classic three-reeled variety as well, while some slots will bring different numbers of reels, and some don’t use reels at all. Even within five-reel slots there are many different types to choose from. One of the most popular kinds of slot is a progressive jackpot, which gives you the chance to win huge, sometimes life-changing sums of money. Our slot guides will introduce you to all the different variations of slot games, and what each one involves. The world of slots can seem scary if you don’t have the necessary resource material to help you through it. Luckily, we have all the information you could possibly need right here, so whatever your question is, we have a comprehensive answer for you.